The launch of the internet was a revolution in itself, but for it to evolve over the years, we needed the support of a lot of programs and protocols. One of the important aspects that helped internet grow immensely was communication between systems. While email clients help you manage incoming mails, and messaging protocols help you exchange messages among the messaging system’s components, a chat room allows you to create a virtual space to chat using IM (instant messaging) system, social networks, etc. IRC (Internet Relay Chat) is one such revolutionary communication technology that has sustained its place well enough in the current technology sphere. It’s a nexus of chatrooms and each one of these chatrooms are known as channels. These channels are hosted on servers, which then individually manage their own set of channel networks. This process allows you to communicate between different network systems connected on the same channels and servers. Apart from allowing you to chat with different users across different network computers, IRC also allows you to transfer data, one-on-one messages, and more. Although it’s a thing from the past, it still holds its popularity among the latest competition with internet forums and message boards. So, let’s take a quick leap into the list of best IRC clients for Windows. mIRC tops the list with its indomitable features. It’s pretty easy to start working with the software, while you instantly get connected by entering some basic information and server details. mIRC is known for its major functionalities such as, sharing, chatting, playing or working with IRC networks around the globe in one-to-one or with multiple users in a group conference. This boasts a clean and efficient user interface that is super easy to configure. Some of its other important features include file transfers in real-time, connections with multiple servers, proxy support, buddy lists, UTF-8 display, system tray alerts, SSL coding, vocal messages, message logging, and much more. The software also features a robust scripting language that’s proves useful for both automatic mIRC and to develop applications capable of running a wide variety of functions like playing games, or network communications. Price: free 30-days trial available; upgrade starts from $20 for single user license. WeeChat is a speedy, lightweight, and an extensible chat client that deserve to be in the top list due to its power-packed features. It’s a fully featured IRC plugin that features DCC, IPv6, multiple servers, nicklist, SASL verification, proxy support, and a lot more. With a wide range of colors (256), smart filtering options, configurable bars, and more, it includes a range of such unique features. Moreover, it supports 8 scripting languages with an integrated scripts manager. What’s more? You can even connect to your WeeChat software through Android, your browser, or even Emacs creating remote interfaces. Best of all, it features detailed documentation and is translated to multiple langugaes. 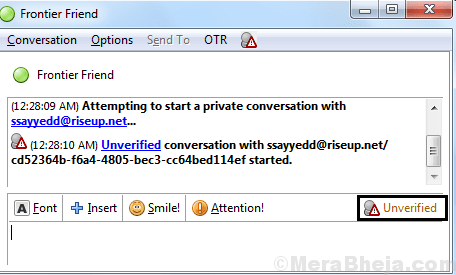 X-Chat is a user-friendly IRC client offering some good features that has been among the early competitors of mIRC. It’s a free and open source software that offers a complete method of connecting through IRC networks on major platforms including Windows. Using this client, you can connect to multiple IRC chat rooms simultaneously, chat in public, or in private (one-tone). In addition, you can also transfer files easily. SSL support, or keyboard shortcuts are some of the features making it a decent IRC client. IceChat is indeed a great IRC client with unique features that cool people must use. This light and proficient client gets you started with chatting in bat of an eyelid. All you need to do is to create a nickname, select an IRC server, connect, and there you go! The beats part is, that it allows you to connect to multiple servers and channels all at a time helping you to communicate easily with your friends and family in your preferred channels. If you want to explore more, you can also use its different techniques and customize the overall appearance of the client. From changing a theme, or writing your own commands to creating your own designed pop ups, there’s a lot that you can do with the IceChat Editor. In addition, you can use its other innovative features, the emoticons, or the Favorite Server Tree that makes it far easier to use. HydraIRC is an easy to use IRC client that’s entirely new in the category. This is designed in a manner to offer a seamless and effortless experience to its users. It was originally launched for those with computer knowledge, but it has gradually grown to make IRC available to all. This client offers ample features to keep all users happy including even the most demanding ones. This has been designed using advanced tools from the base, with support from different servers, and the leading-edge, super intuitive GUI toolkits. You can connect to multiple IRC servers and channels using this client to as many multiple networks possible and chat endlessly. Pidgin is another great IRC client that’s built on libpurple that allows you to connect to many messaging channels at a time. This client works supports several chat networks that include names like Google Talk, Yahoo! Messenger, Zephyr, MSN Messenger, AIM, Jabber, Lotus Sametime, etc. It adapts several features of these chat services such as, typing notifications, away messages, emoticons, files transfers, and more. Best of all, it’s free to download. user-friendly, and compatible with all major platforms. Moreover, it integrates seamlessly with system tray on GNOME and KDE. HexChat was initially known as XChat-WDK and so, it’s built on the XChat framework. But, unlike XChat, this client is completely free and has a cross-platform presence. Some of its major features include, an interface that’s user-friendly and customizable, availability in scriptable languages like, Lua, Python, and Perl, translation available for multiple languages, actively developed and open source, ability to get connected automatically to multiple networks, join, and connect options, and options for spell check, DCC, proxies, etc. KVIrc belongs to one of the earliest launched IRC clients that has gone through a lot of development over the past 10 years. It’s a portable client that’s built on Qt GUI toolkit. This client is known for its vast support for scripting that enables users to customize. Best of all, it does not require any installation and is ready to use, out of the box. So, you can simply start using it with a click. It’s available for free and is cross-platform and hence, runs on all major platforms including Windows. This terminal-based IRC client is not just free and open source, but is also easy to use. It’s known to support SILC and ICB protocols through plugins. Among its majors features are, the option that helps users create and use perl scripts to carry out action, supporting themes that enable the users to change the client’s overall feel and appearance, autologging feature, paste detection option, customizable keybindings, proxy plugin, effortless upgrades without losing connections, plugin for password protected communications, sending terminal inputs to a channel or a message, providing support to continuous connections, and so on. Quassel is illustrated as a contemporary IRC client that’s due for its final leg of the next big release of a new feature. It’s a cross-platform and distributed client that comes packed with all the features that a latest IRC client usually possess. Its availability on all the major platforms including Windows, makes it stand apart in the category. Since it’s a distributed client, it allows the users to connect to multiple clients at once, and even disconnect from a central body that has stayed permanent online (something similar to WeeChat which is a mix of a display and a text-supported IRC client). Re-connecting to your client will help the users to view the IRC session in the same situation as it was left, and this is also possible when re-connecting from any other location. Moreover, Quassel can also be used a regular IRC client offering both client and core features in single binary. Best of all, the GUI of this client offers a dockable nicklist and topic bar, or the users can organize their channel and query strings in default custom displays that are dockable. This helps the users to organize the GUI in the way they want. AdiIRC is a free IRC client that’s constantly being developed and enhanced with a super-efficient beta team working on it round the clock. There are several updates to its every month that shows on the changelog. What we like is, that users get feedback without any delay for feature requests, recommendations, and bug reports. In addition, the client also supports mIRC themes. 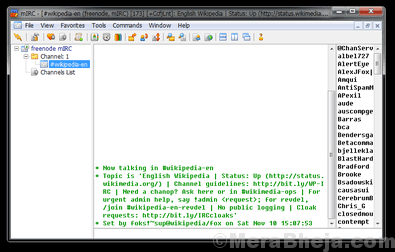 AdiIRC is a portable IRC client that can be operated without any installation. This helps it be run from external hardware devices as well, like the USB sticks. What’s interesting is, you can also move the configurations, scripts, and snippets along with the installation folder. Bonus – it’s a lightweight IRC client with a simple or complex design to choose from. ThrashIRC is another IRC client that claims to be the best IRC clients for Windows. It comes packed with all the latest features that are usually offered by other IRC clients. However, it does offer a few bonus features. This IRC client allows users to use their features using minimum system resources. Best of all, it comes with no ads, no spywares, and offers a great deal of stability. IRCCloud is an IRC Client that helps users stay connected, and with the facility to chat from any location while they never miss a message. This open platform is designed for real-time discussions and stays updated with regular upgrades. It allows users communicate in groups in real-time while saving them from scheduling unnecessary meetings and getting overloaded with email. Best of all, unlike other IRC clients, it maintains the user’s presence and keeps a log of all chats. Embed images, YouTube videos, vines, and ore directly inside the chat window using this client. Bonus – it comes with simple interface and allows file sharing using drag and drop feature. Users can stay more organized by communicating in open or private messages, or in one-to-one sessions. It’s also available on mobile platforms making its availability ambiguous. Price: free version available; upgrade starts from $5/mo. Smuxi is again a distributed IRC client like the Quassel that comes with highly customizable interface. It comes with a theming support and caret mode that allows navigation through messages. What’s interesting is, it features plugins and scripts that can be written in any language. Best of all, Smuxi comes with Twitter integration where it allows you to check and interact with Twitter’s relies, timeline, and direct messages from the client. It can be detached and so, can be used at any location, comes with complete GNOME desktop and is capable of integrating with Ubuntu’s messaging menu. Kiwi IRC is a free and open source web client that comes with an aesthetic and contemporary layout that features classic double-column design. The chat window is located on the left of the window, while the nicklist is placed on the right. It allows users to generate codes that let the users embed the IRC client inside the website. Best of all, it’s available in over 20 languages across the world. Although the IRC clients belong to the old times with lowered popularity over the years, the chat room concept is still pretty strong with many still following it. The feature rich IRC clients make your life easier by allowing you to stay connected anywhere. So, if you are looking for the best IRC client, select one from the list and get on with your chat sessions.